Looking for fun? 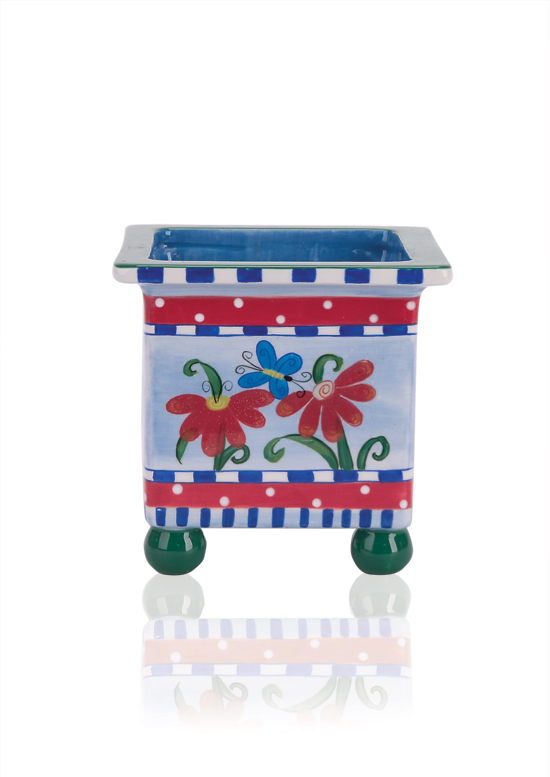 Our colorful, footed cachepot is painted with a whimsical butterfly and flower design sure to add brightness and cheer to every day with its peppy colors. The square cachepot rests on ball feet.